We’ve been following the adventures of several oolong experts out there for awhile now (at least a couple of years, probably longer), and wanted to gather together some things we’ve learned, from them and other sources, about the difference roasting (or baking or firing) makes in an oolong tea. It can be quite amazing. Tea leaves go through various processing steps from the moment of harvest to when they are packaged for shipment to tea vendors. A final step for many oolongs is the roasting (also called baking and firing) of the leaves. This halts any oxidation of the leaves and removes more excess moisture from them. The roasting (baking or firing) has an enormous impact on the final flavors of the tea, often being the difference between something delightful and something very burnt-tasting (like the charcoal often used in the roasting process). Even the wood used to make the charcoal can matter. 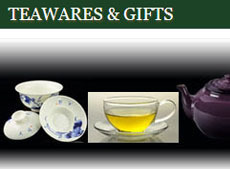 For example, a Taiwanese oolong uses Taiwan Longan wood or Taiwan Acacia wood for the charcoal. Teas from the Wuyi Mountains area, where oolongs (using leaves from the Shui Xian cultivar) are said to have originated, are roasted to develop a sweet, caramelized flavor. It also gives them a longer shelf-life. Some oolongs are roasted more than once to bring out even more flavor complexity. Citric notes can become more evident after roasting. 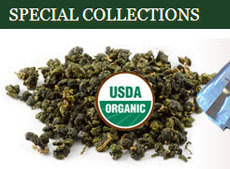 If the roasting does not significantly alter the flavor, then technically it is not a roasted oolong. High (Strong) – 90-100% roasted. Best for preserving the tea and adding a honey-like sweetness (sometimes described as more like smoky caramel) in the aroma. Store the tea for about a year to let some of the roasty quality fade. The flavors will also become more complex. Store in a cool, dry environment. Medium – 40-90% roasted (some vendors break this range down further – there does not seem to be any set standard). Good for preserving the tea, and you should also store this one for 6 months to a year, letting any smoky quality dissipate. Light – 30-40% roasted. 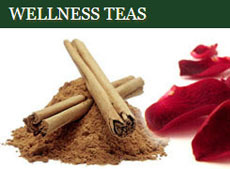 The teas can’t be stored as long, but you can drink them right away without any overly roasty or smoky quality. Different roastings use different temperatures. For example, some Dancong Phoenix oolongs are roasted four times (starting at 120°C and reduced for each subsequent roasting to 60°C on the last one), and each lasts 5 to 10 minutes, with the leaves resting 1 to 2 hours between each roasting. This isn’t the final stage. The leaves are sorted to remove any inferior leaves (set aside for other uses) and a finishing roast is done, with the time and temperature dictated by the desired tea at the end. 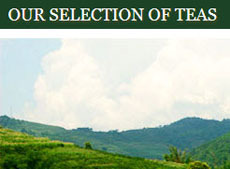 Roasted oolongs that have been stored may need to be re-roasted even if stored well. They will naturally absorb any moisture around them, which the additional roast will remove. This will also restore some of the tea’s original flavors. Tieguanyin (Iron Goddess) Oolong is a roasted/baked/fired oolong that is most familiar to folks in the U.S. and Europe. The best ones balance a roasty body with a floral quality in the aroma. Tung Ting Oolong is roasted in the traditional manner using charcoal made from Longan fruit wood. Dancong Phoenix Oolong goes through a process of shaping the leaves into twists, then multiple roastings, as described above, and a final finishing roast. The trend for roasting tea leaves at home is growing. Sounds good to us, since it will show more of an appreciation of how tricky this step of the processing can be. Of course, it might even result in some amazing efforts and make you the Betty Crocker of the tea world. Fabulous! 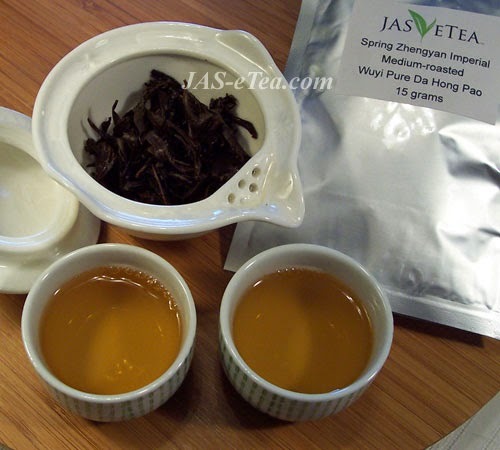 This entry was posted in Oolong Teas and tagged JAS-eTea, Oolong Teas, roasting tea. Bookmark the permalink.